Eric Bauer is a Bell Labs Fellow in the Technology, Strategy & Architecture group of Nokia Bell Labs.Nokia's Applications and Analytics business group where he focuses on efficiency, reliability, availability and qualityof cloud-based services. Mr. Bauer has authored five books on cloud computing and two ETSI NFV specifications. Before focusing on cloud, he worked on reliability of software, systems, and network-based solutions and wrote three general reliability engineering books. 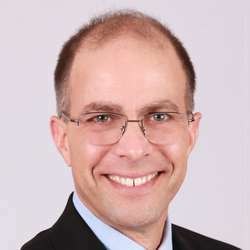 Earlier in his career, Mr. Bauer spent two decades designing and developing embedded firmware, networked operating systems, IP PBXs, internet platforms, and optical transmission systems. He has been awarded twenty-four US patents. NFV Workload Efficiency Whitepaper, QuEST Forum, 2016.